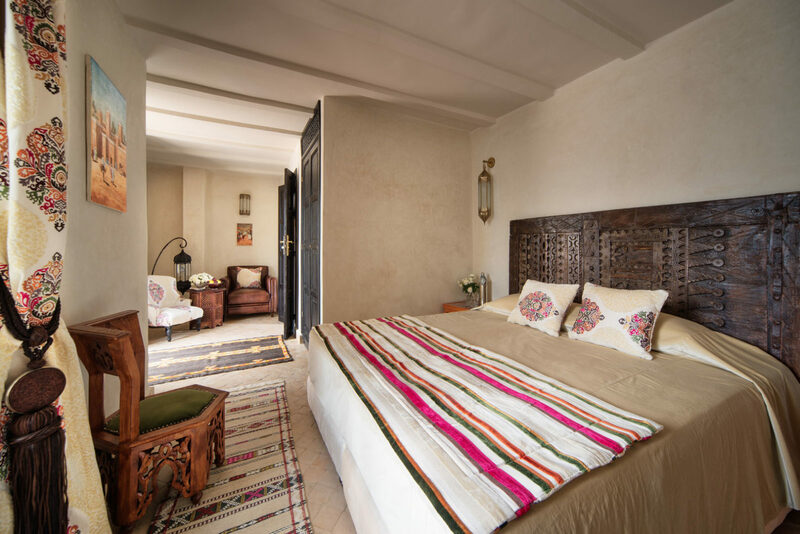 Our Deluxe Rooms are well equipped and a perfect base for your Moroccan adventure. 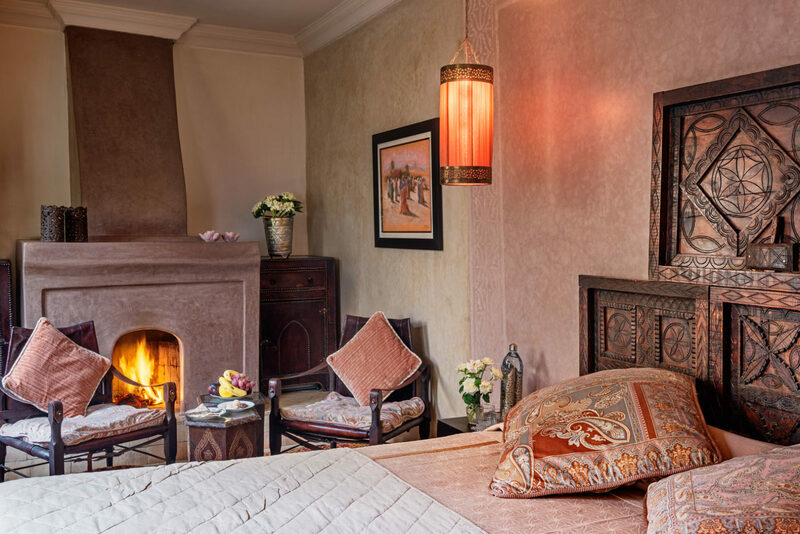 We offer a variety of stylish interiors with a selection of authentic hand-crafted furniture. 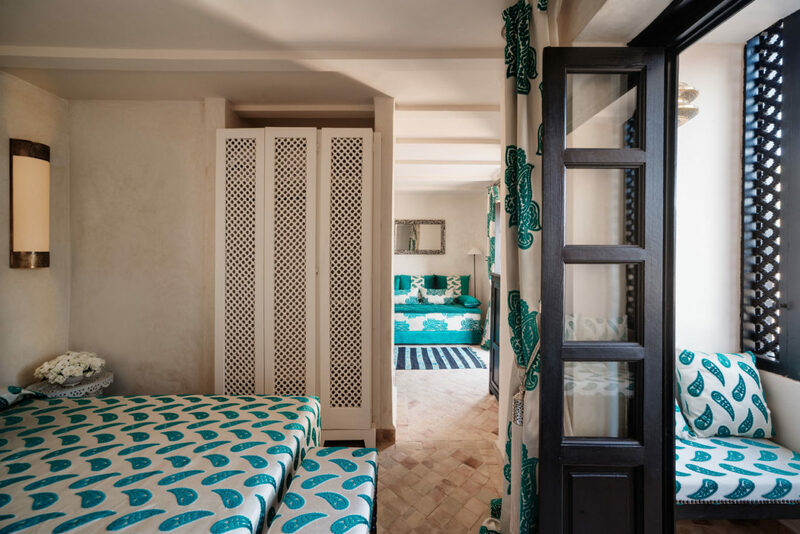 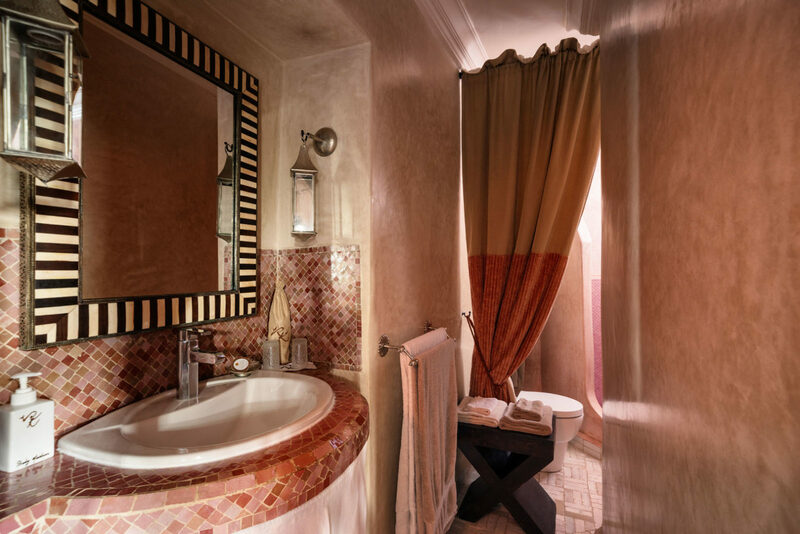 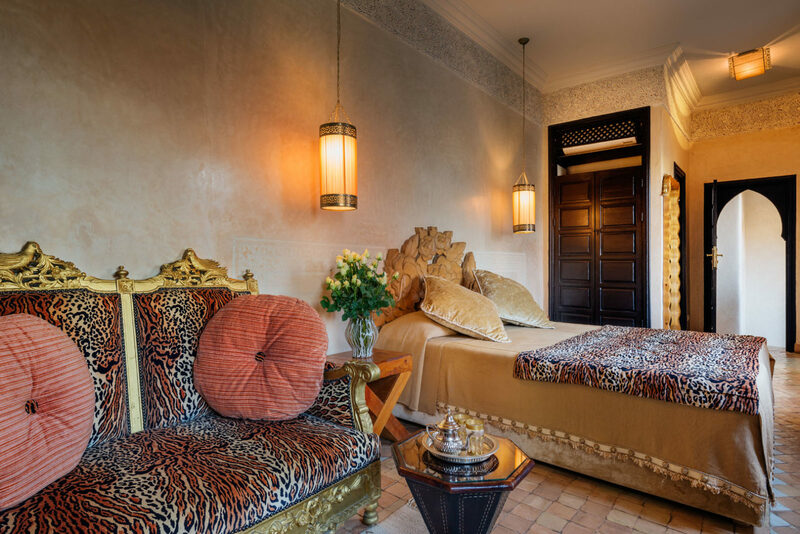 The Deluxe Room offers all the amenities you need to enjoy a relaxing stay in the Marrakech Medina. 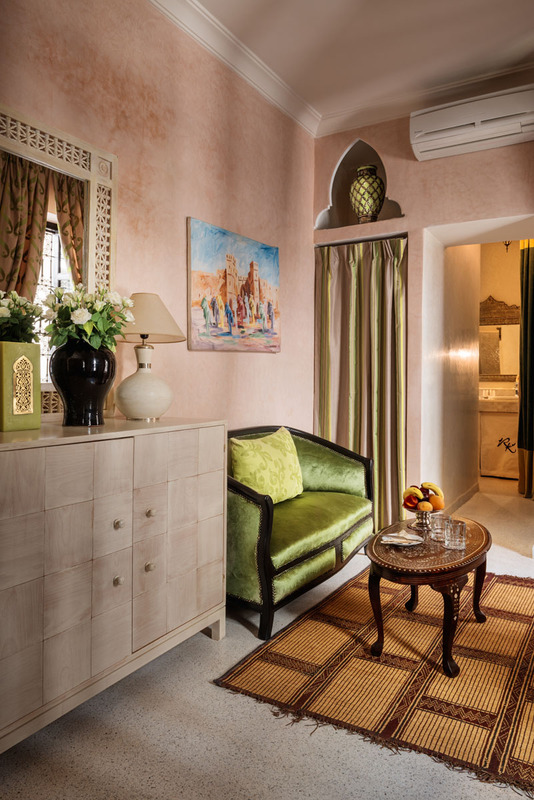 Our Deluxe Rooms are comfortable and a fresh breakfast is included on a daily basis to guests without extra charge. 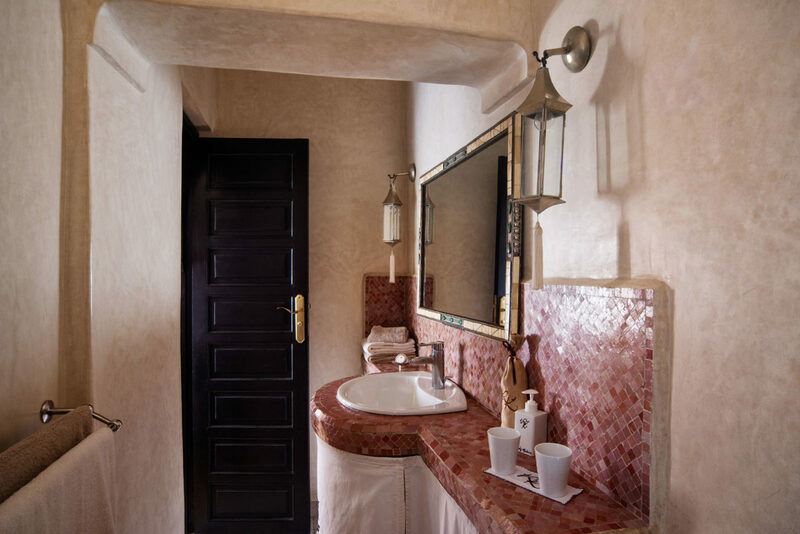 Room facilities: Phone, air conditioning hot – cold, minibar, hairdryer, safe, music system USB – Bluetooth, Sofa, shower. 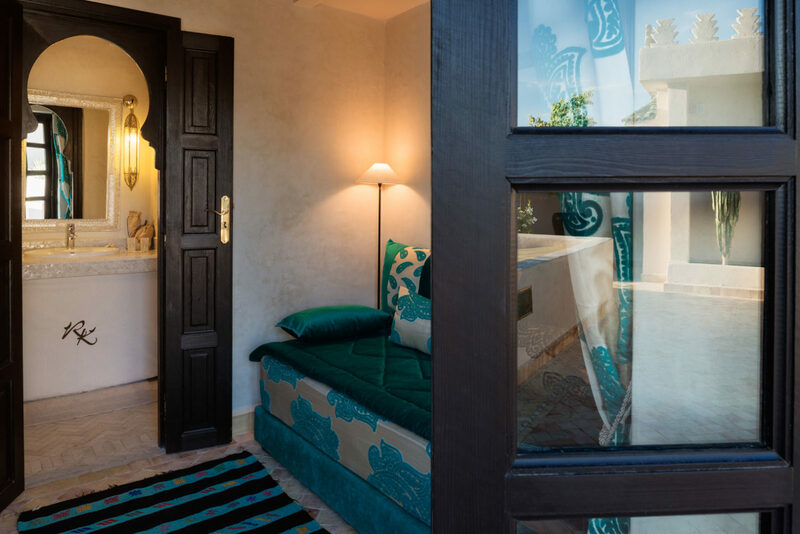 We also provide you with a mobile phone to communicate with our Riad 24 hours a day. 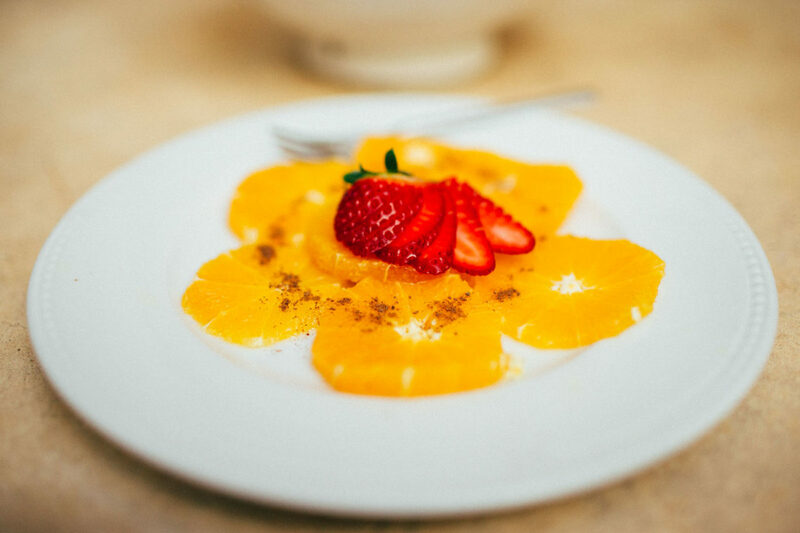 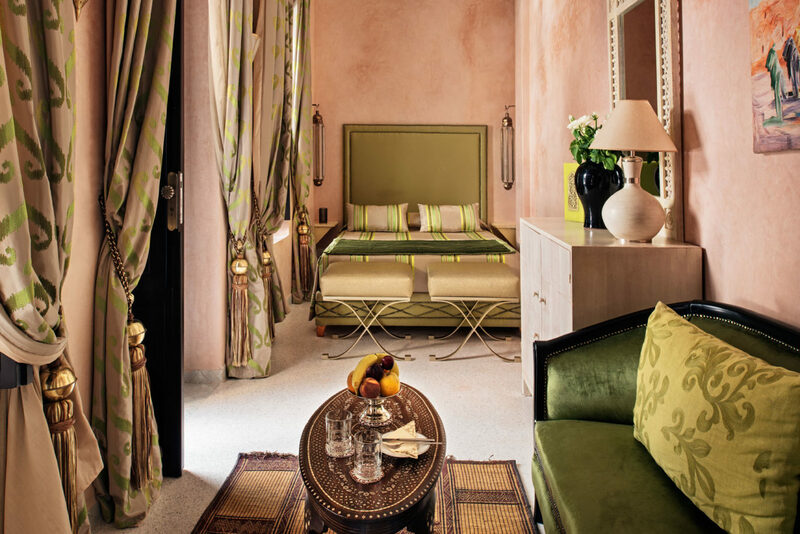 Water, fresh juices, fruit, tea, coffee, cappuccino and Moroccan pastries included in the room rates. 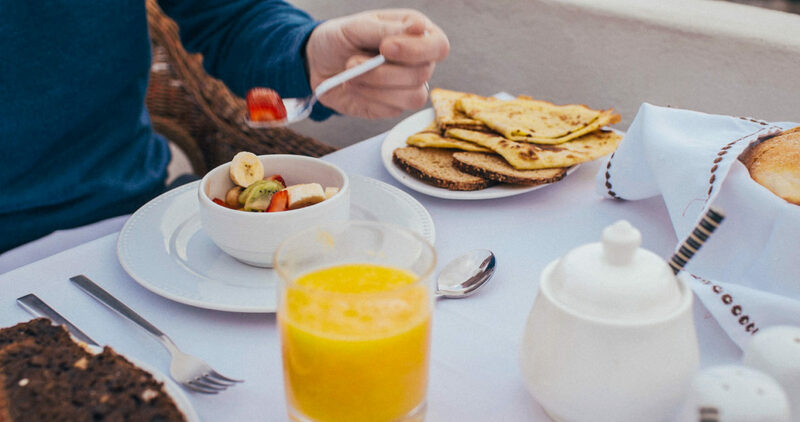 Start the day in the perfect way! 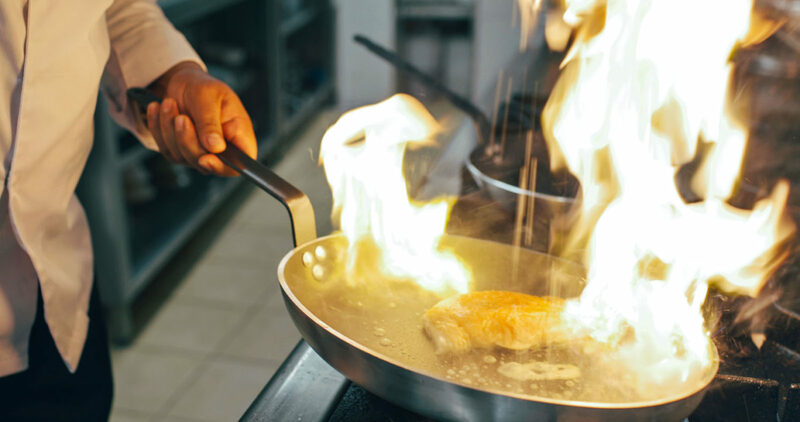 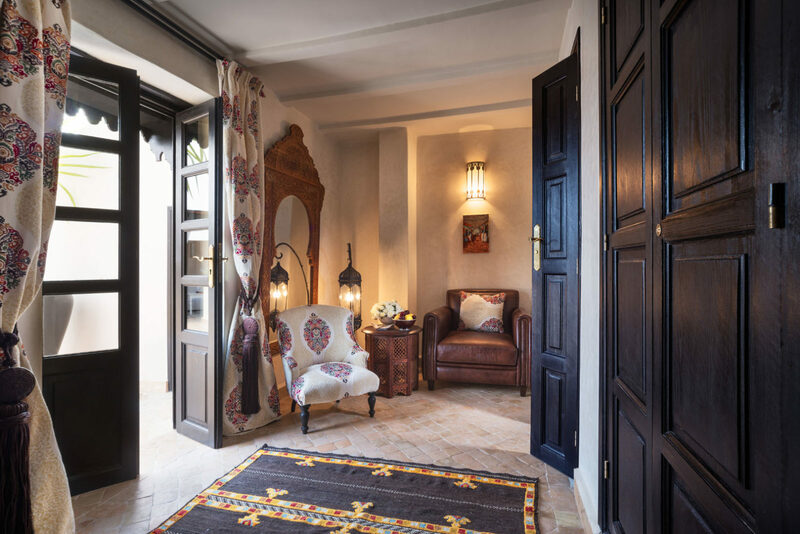 We pride ourselves on maintaining an exceptional level of service for our guests, from the moment you land to the final goodbye our team are ready to provide a memorable stay in Marrakech. 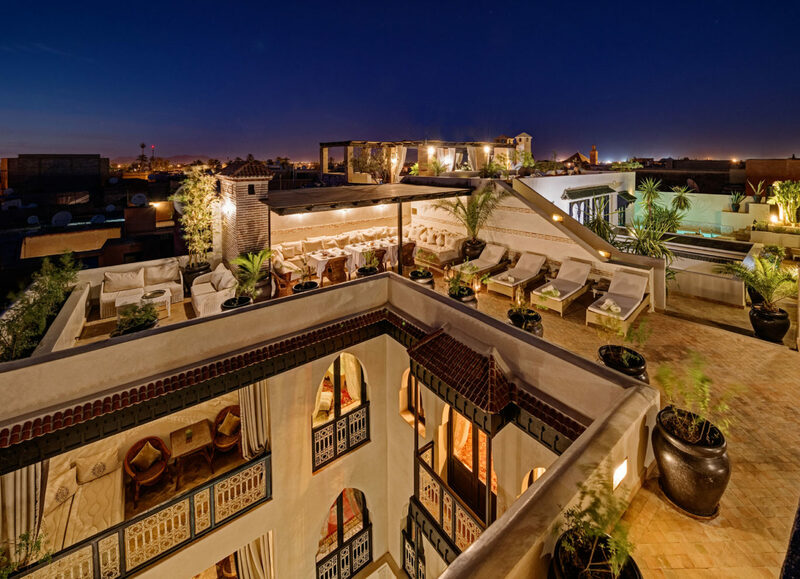 Don’t just take our word it, we’ve been regularly voted number one hotel in Morocco on Tripadvisor and reviewed as one of the top hotels in the world in 2017. 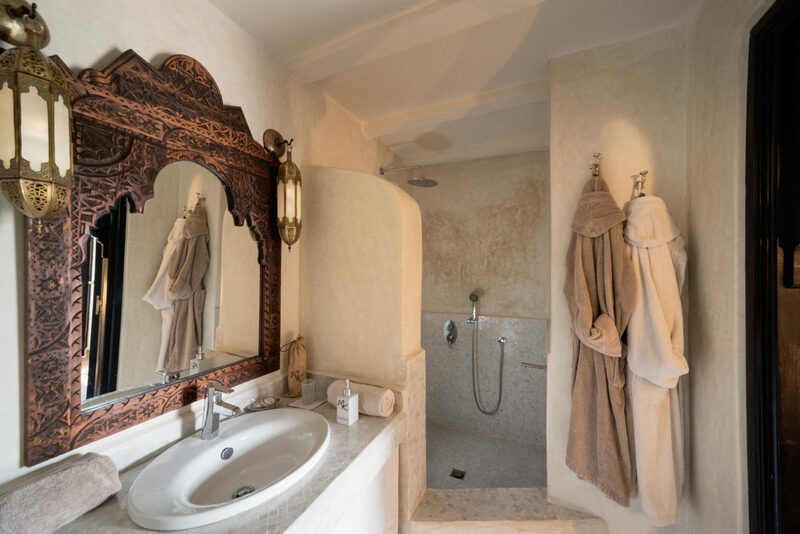 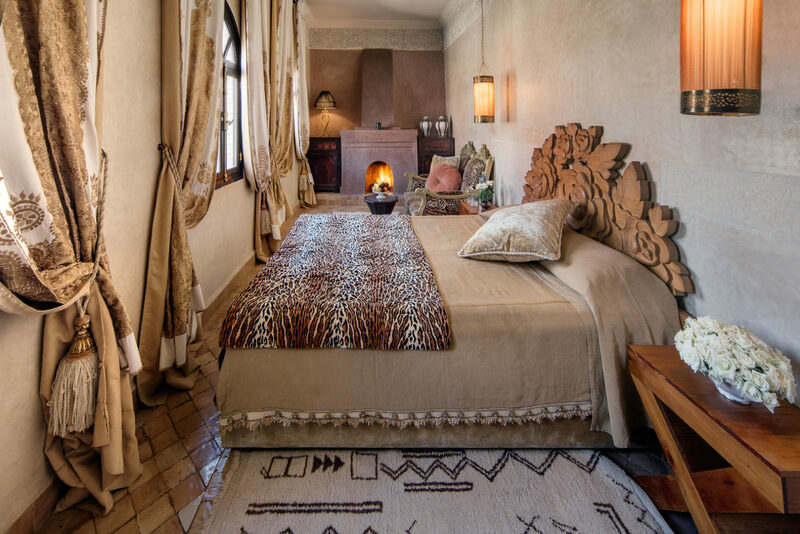 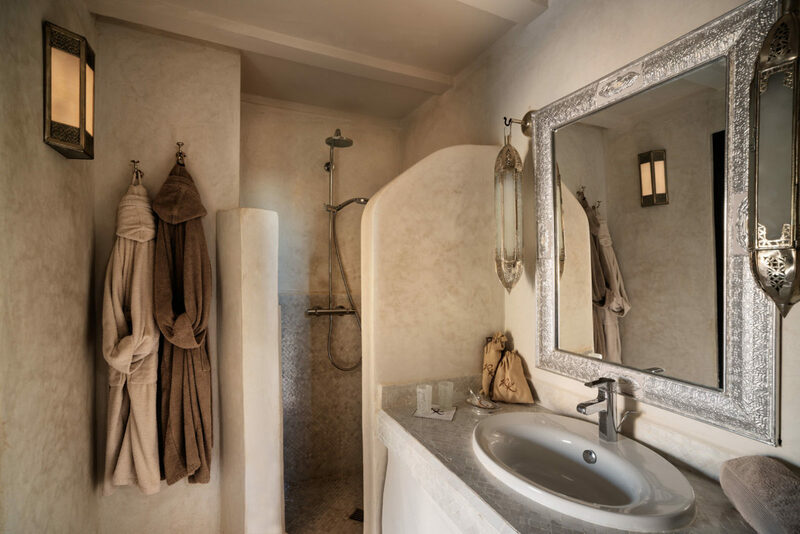 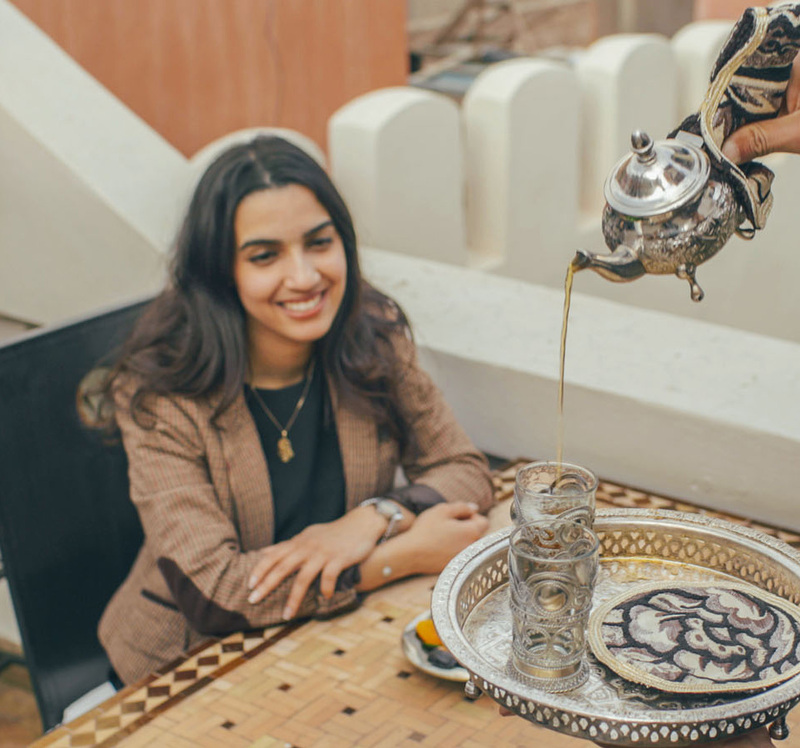 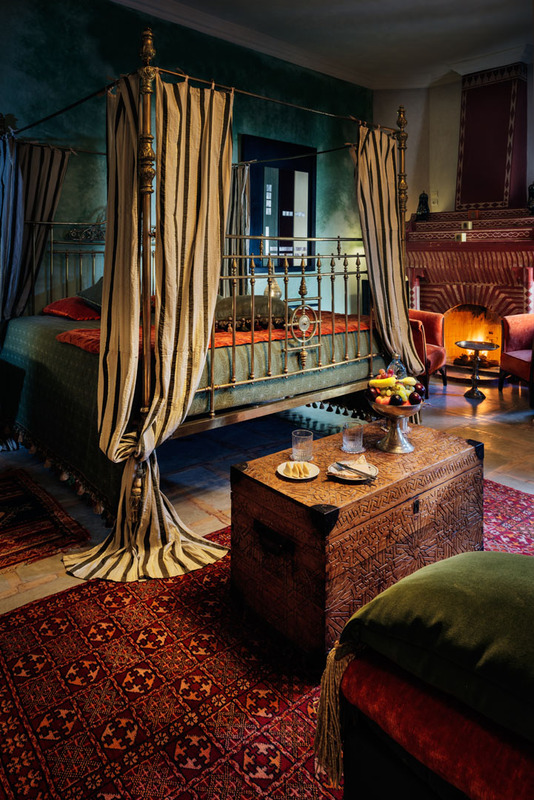 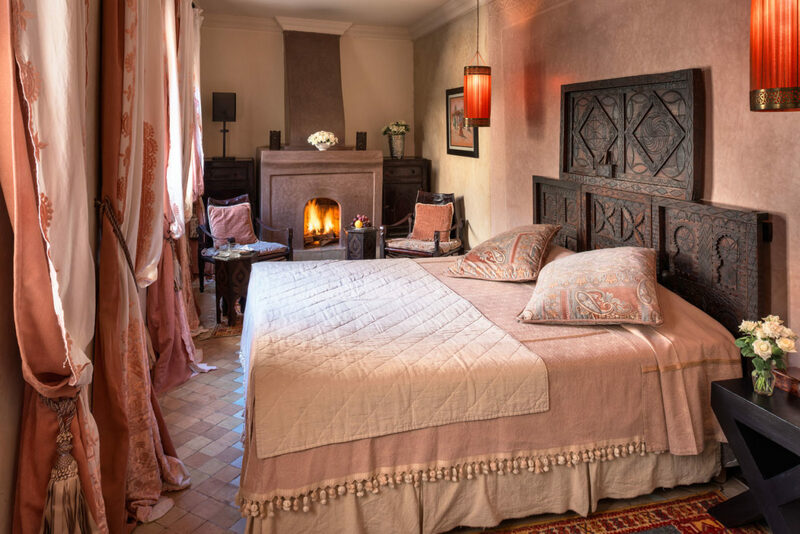 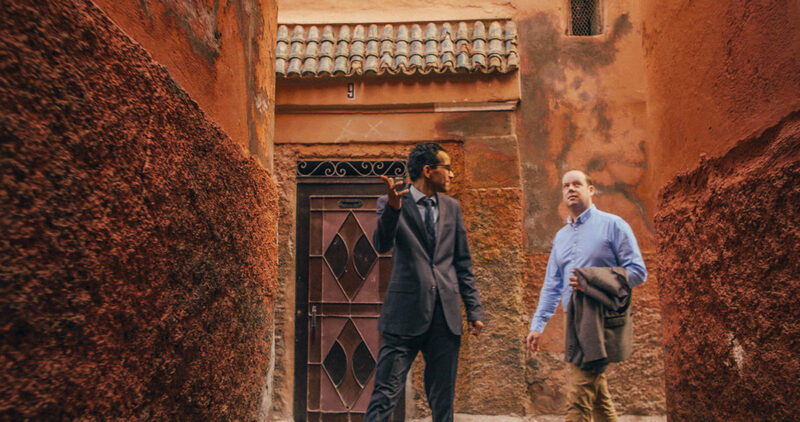 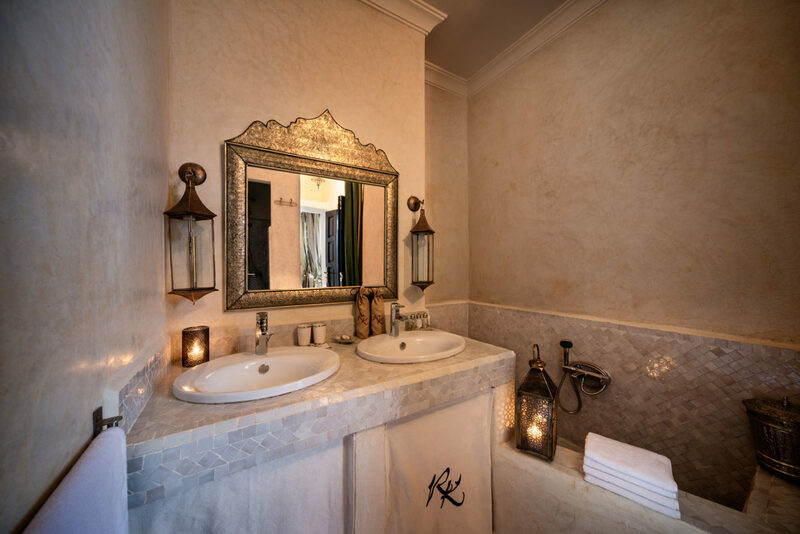 Expect unbelievable attention to detail and service with true Moroccan charm.